Melting in the summer warmth, unsure which wineries were open we headed to the Gisborne Wine Centre to check out the local wines under one roof. 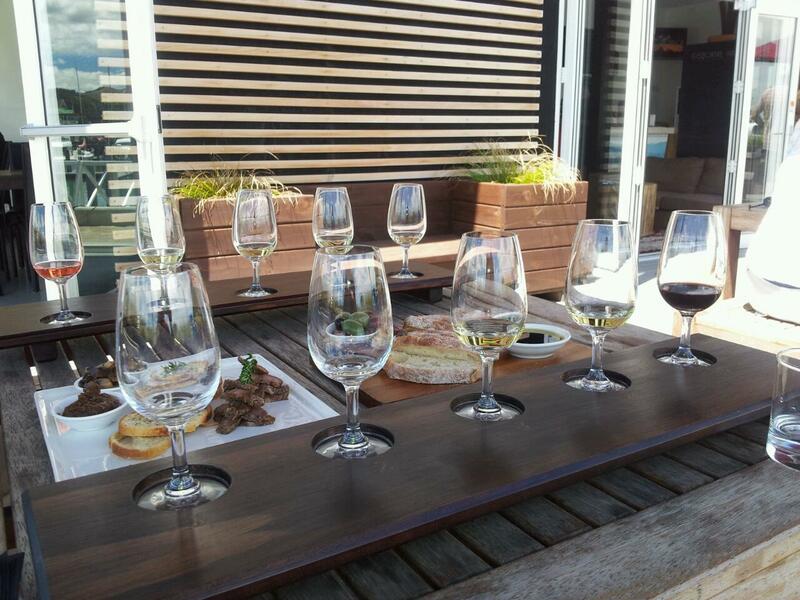 Offering flights of a selection of Gisborne wines, we decided to take a different flight each so we could compare and compete for who had the best selections. Sitting outside under the protection of a sun umbrella by the marina, we made our way through the wine flights, reading the tasting notes, deciding what we thought, comparing and scoring. A great way to get a flavour for the local wines with little effort and driving around required! Then the munchies set in so we ordered some olives, bread and oil and the most delicious Manuka Smoked Lamb with smoked mushrooms and peach chutney – wow! Fabulous. 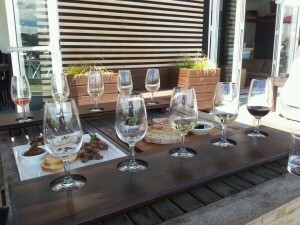 Tagged with Gisborne Wine Centre, wine tasting.